We finally take the steps at the northern end of the building to the roof. The roof is entirely open with a single row of cooling fans placed down the middle. 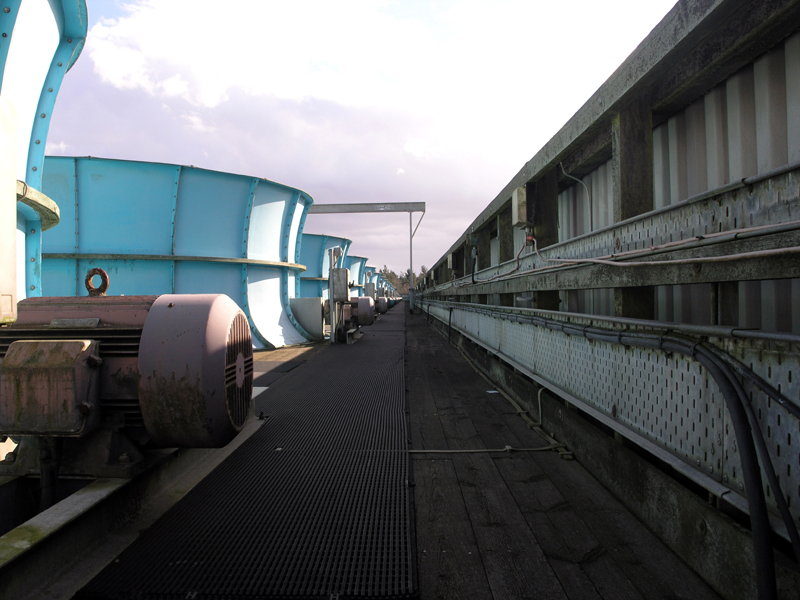 View south along the western top walkway of the Air House Cooling Towers.